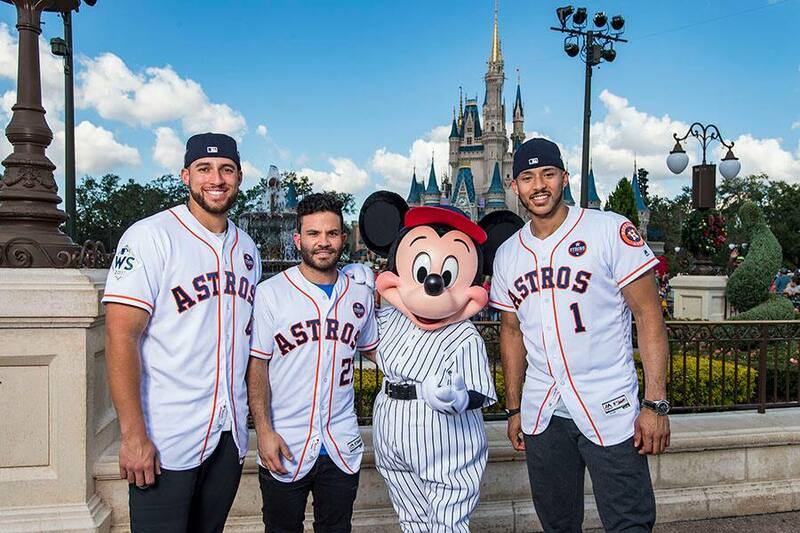 It has been an exciting week for Houston Astros shortstop, Carlos Correa. 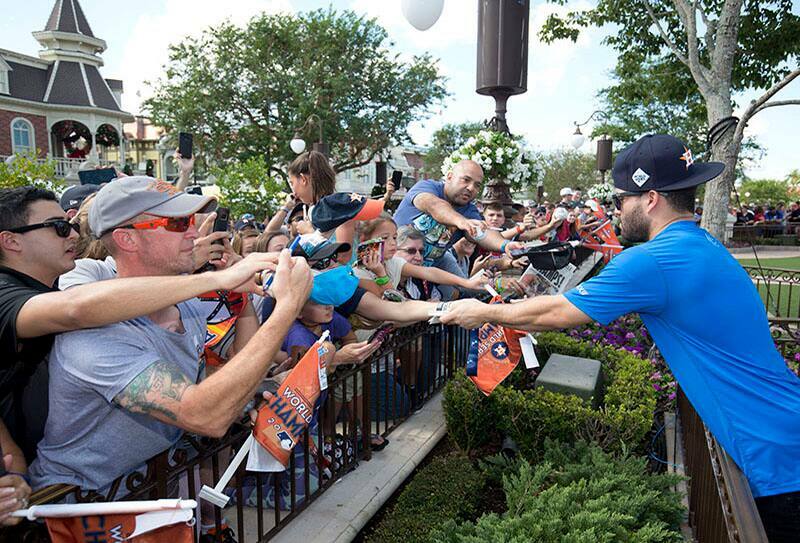 After winning the World Series with his teammates last Thursday, he decided to make it a truly unforgettable night by proposing to his girlfriend, Daniella, on national TV. During a postgame interview with thousands watching, Carlos dropped to one knee, and asked her to marry him! Completely caught off guard, she said, "Yes! ", making for the ultimate surprise proposal. 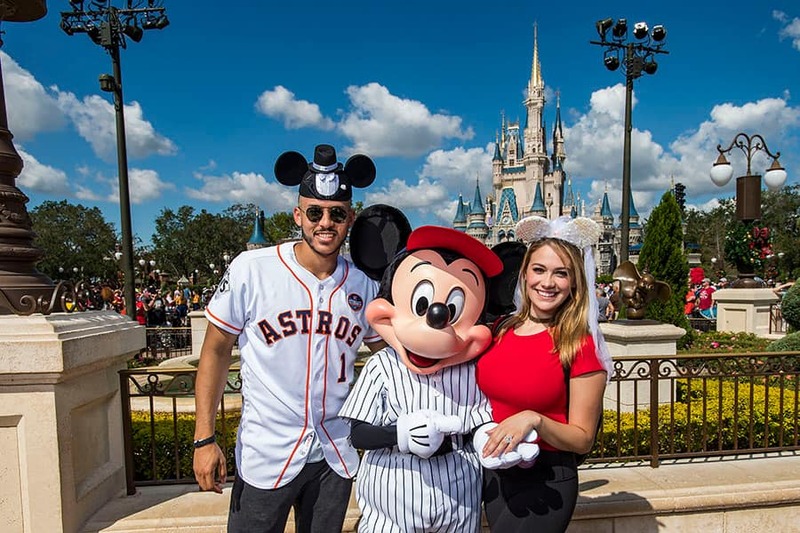 The next stop for the champion and his fiancée, was to head to Walt Disney World, along with two teammates, Jose Altuve and George Springer, to continue the celebration! 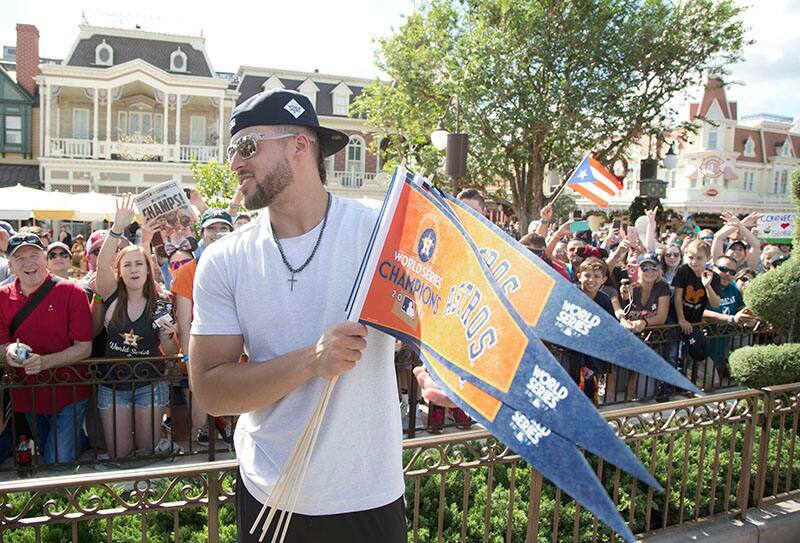 With hundreds of excited Astros fans in attendance, the players joined the special Victory parade to celebrate the big win! 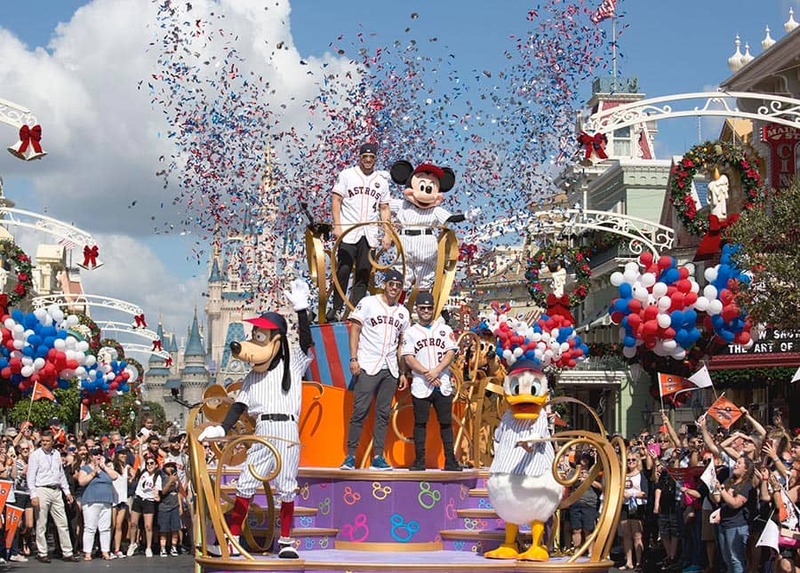 The happy couple was even spotted wearing bride and groom ears while showing off their new bling to Mickey Mouse!